Hi! 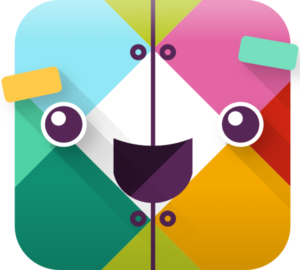 Since you’re reading this, I assume you’re interested in starting a Slack community. But just in case you’re unfamiliar with the phenomenon: Slack is a SaaS company that sells its communication platform to other businesses. Slack has been highly praised for its design and ease of use. Because the product is so fun and accessible, an increasing number of noncommercial communities are using Slack’s free tier to host a mix of chat room and forum. In terms of concrete steps, setting up a Slack instance is super simple, and Slack itself has a great guide for newbies. The difficult part is getting people to join, and even more crucially, getting them to stick around and chat! I can’t make you any guarantees, but I have a few tips based on my own experience successfully starting a Slack community. My credentials: I run a cyberpunk newsletter called Exolymph, which sprouted the Cyberpunk Futurism chat group. Cyberpunk Futurism currently exists as a Slack instance. I also participate in the #botALLY Slack, which is lower-volume but full of interesting, thoughtful people. I’ve joined a bunch of other Slack groups, some of which have gotten traction and some of which haven’t. Target a very specific subculture, interest, or activity. Niches are the nicest! This gives you the best chance of bringing together folks who will want to talk to each other. Draw on existing communities! When I started Cyberpunk Futurism, I recruited from my own newsletter, /r/Cyberpunk, a large cyberpunk-themed Facebook group, and Hacker News. I also had a wonderful asset in Way Spurr-Chen, an online friend who helped me keep Cyberpunk Futurism lively during the first couple of days. Spend the first few days actively cultivating the conversation. Welcome every new person, and ask them questions. Share links and introduce discussion topics. The worst-case scenario is for a new person to join and see a dead chat room — they’ll leave and likely never come back. If possible, ask a buddy to help you keep the space moving. Don’t create a bunch of different channels right away — give users that ability and let things grow naturally. Keep inviting people and promoting the group! Make a clear-cut landing page where people can enter their email address to request an invite. (You can automate this, but I personally do it manually.) Growth is not absolutely necessary, and I can imagine scenarios where it would be negative, but some people will leave after a few weeks of activity. You don’t want your Slack community to dwindle away without infusions of fresh blood! Have a code of conduct — the Contributor Covenant is easy to repurpose — and make the expectations clear to group members. Don’t be an absentee moderator. Commit to creating and sustaining a safe and friendly space. Of all of these tips, I think #2 (draw on existing communities) is the most important. Potential Slack members don’t appear out of thin air! You gotta go out and find them.